Aggregate of yoderite crystals in thin section, width of the area c. 7 mm. 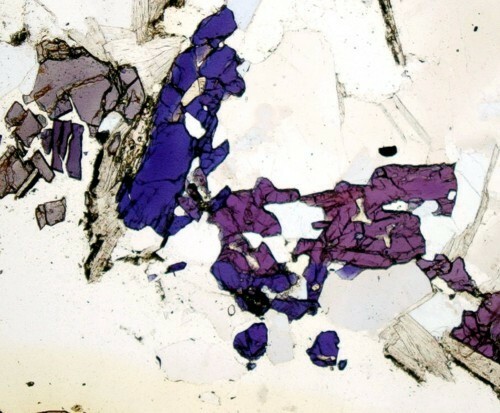 Yoderite grains with different orientation show a very strong pleochroism in blue and violet shades, in transmitted light with single polarizer. It is intergrown with abundant quartz and greyish flakes of talc.